The Fon network in UK is formed by BTWiFi-with-Fon hotspots. Here is all you need to know so you can connect to our network in the UK as a Fon Visitor. 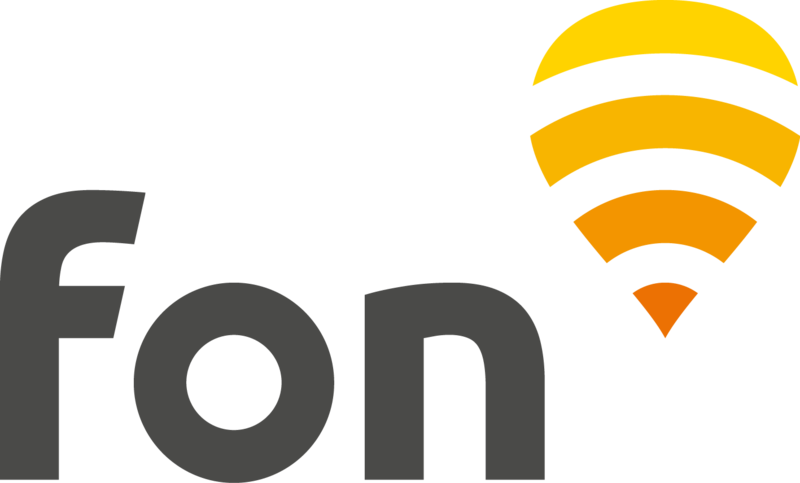 Fon passes are available for purchase and only valid at BTWiFi-with-Fon hotspots. They can't be used on premium BT Wi-fi hotspots, which belong to BT's dedicated network. Note: Fon passes are also available offline (no need to be connected to a BTWiFi-with-Fon hotspot) through this link. The purchasing process is the same as described below. If you wish to purchase a pass for the first time, look to see if a WiFi signal "BTWiFi-with-FON" is in range of your device and if so, connect to it. Once the account is created, you will reach the check out. Choose your payment method: SMS (only for 1h-pass), Credit card, PayPal or Amazon Payments. Note: you can save your phone number in order to enable one click express purchasing for next purchases. To do so, tick the corresponding checkbox and click Continue. If one day you decide to disable this service, please get in touch with Boku, our SMS payment provider. When you choose Amazon Payments, the following page will come up. Login with your Amazon Payments account. Choose the credit/debit card you wish to use and click the yellow button "Click here to Pay". Once the purchase is completed, you'll be able to start surfing (the pass will activate automatically). Select "Fon" and log in with your username and password (email and password used for creating your Fon account).